Food Blogger Love is back! The event is hosted by Allison of The Pintertest Kitchen and was created as a way for bloggers to show love to other bloggers. The event is a little different this year as us bloggers had the choice to either make a Valentine’s Day related recipe or request to be assigned another person’s blog and make a recipe from their blog, in their style of cooking, or made with their favorite food. I chose to be assigned to a blogger and received Sarah of The Pajama Chef. Like me, Sarah blogs for fun and likes simple but delicious recipes. She’s a wife, mom and fur-mom to her 3 kitties. She likes running, caramel lattes and staying in pajamas, hence the name of her blog. Her recipes balance between healthy and indulgent but absolutely won’t leave you wandering the aisles of the grocery store for some hard to find ingredient that you’ll use only a teaspoon of. We’ve participated in a few events together, but I’m not sure that I’ve checked out her blog recently. Right now Sarah is doing a really cool feature where she interviews other bloggers to see how they eat, asking questions like how many meals they make at home, who they’re cooking for, how they meal plan, and what their best tips are for meal planning. I think this is SO COOL! Let’s face it, meal planning is hard, even if you’re a food blogger. There needs to be some creativity, ingredients that your whole family will eat, recipes that don’t take hours and hours of prep and things that actually look appealing. I grinned. “Healthy” desserts? Those are my favorite to make because I love the flabbergasted look on someone’s face when they tell me how good a dessert was and then I drop the “oh and it was healthy for you too” bomb. 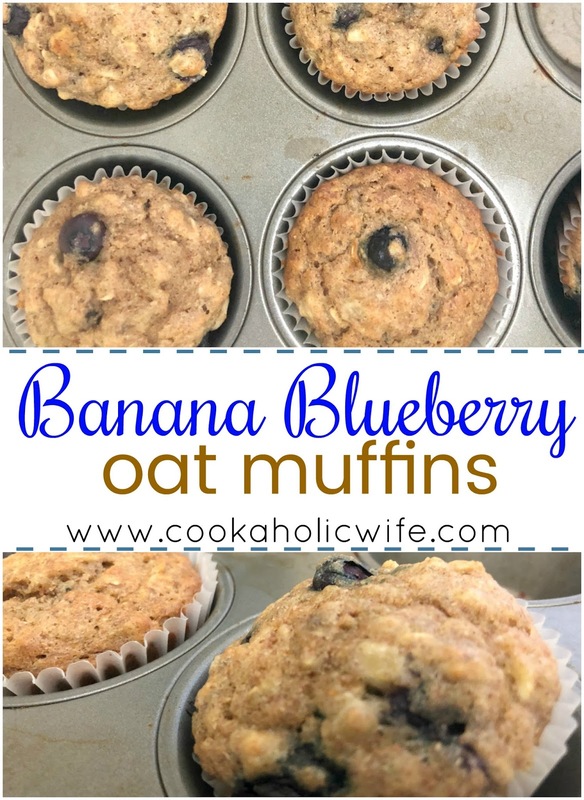 You’ll be shocked at how healthy these Banana Blueberry Oat Muffins are, made with whole wheat flour, oats, Greek yogurt and fresh fruit. Preheat oven to 375 degrees. Line two muffin pans with paper or foil liners. In a large bowl, combine the flour, oats, baking powder, baking soda, cinnamon, salt and nutmeg. In a medium bowl, whisk the eggs, then add in the coconut oil, Greek yogurt, honey and vanilla. Stir in the mashed bananas. Add the wet ingredients into the dry, using a flexible spatula to fold ingredients together until no lumps of flour remain. Carefully fold in the blueberries as well. 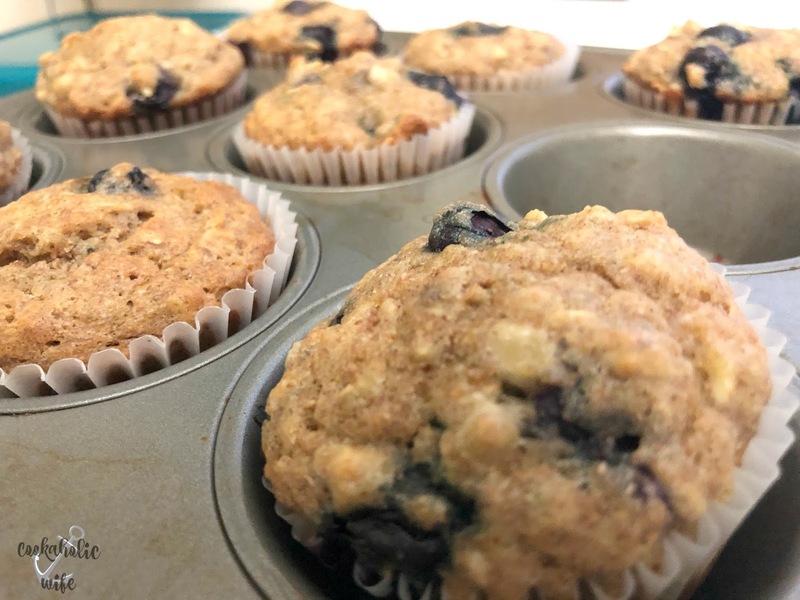 Fill each muffin cup ¾ of the way full. Bake for 20-22 minutes or until a toothpick inserted in the center comes out clean. Transfer to a wire rack and let muffins cool completely. These muffins are delicious and like expected, no one believed me when I told them how healthy they were! 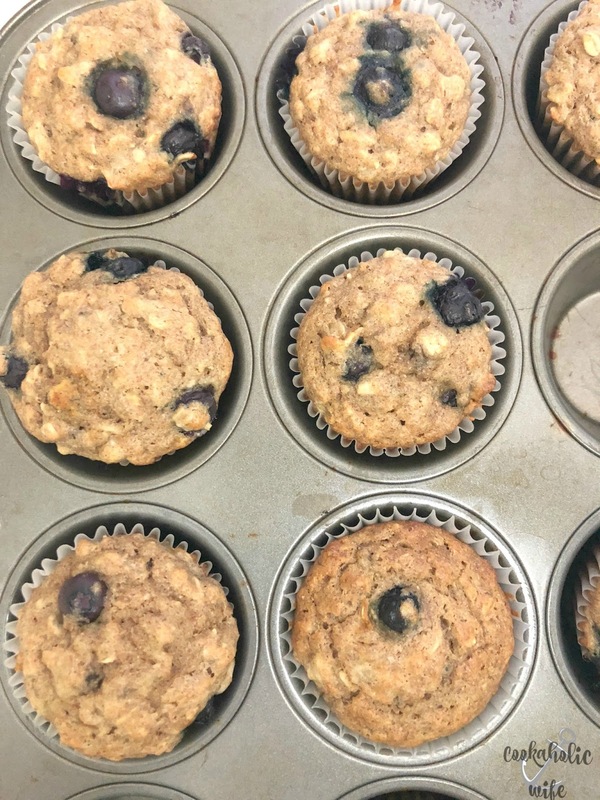 In addition to great muffins and tips on meal planning, Sarah also has a ton of other recipes. The ones that intrigued me the most where Buffalo Pretzels, Strawberry Ginger Smoothies (you know my obsession with ginger…these are getting made ASAP! ), Honey Mint Glazed Chicken and Triple Chocolate Brownies. And that’s not even touching her collection of breads, breakfasts or side dishes! Love Sarah's blog. I wish I had one of these muffins now. I so rarely think to add more fruit to banana muffins but it's such a great idea. I think you picked a great recipe to spread some #FoodBloggerLove and help your co-workers eat a bit healthier! These muffins look amazing!!! 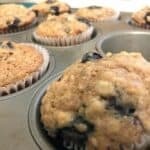 These muffins sound delicious and I love that they're on the healthier side! Maybe I won't feel as guilty feeding them to my kids for breakfast!